Fibropapilloma tumors (FP) are projection formed tumors that can taint all delicate parts of a turtle's body. Tumors become fundamentally on the skin, yet they can likewise show up in the middle of scales and scutes, in the mouth, on the eyes, and on inward organs. 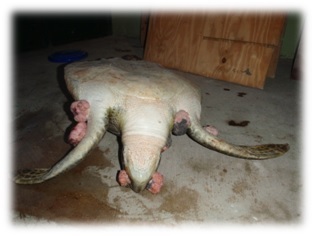 These tumors frequently increment in size and number until the turtle is truly crippled. Demise is a typical result. While much research has been and keeps on being carried out to discover the reasons and solutions for FP, there is another and disturbing improvement. 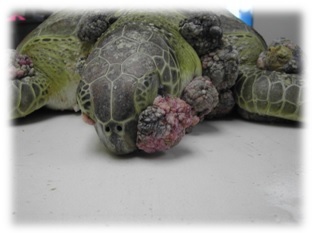 Fibropapilloma tumors are beginning to appear on other ocean turtle species in expanding numbers! In the event that the same example of disease happens as was seen with green turtles, it won't be much sooner than FP surpasses even Homo sapiens as the single most noteworthy risk to marine turtles. A real motivation behind why marine turtles all through the world are in risk is the proceeding with loss of settling natural surroundings. It is accepted that marine turtles have a greatly high proclivity for their settling shorelines, and hence the misfortune or lessening of even a solitary settling shoreline can have genuine impacts. Private and traveler utilization of shorelines can bring about aggravation to settling turtles. The most genuine danger is cause by expanded human vicinity on shorelines, particularly around evening time. These outcomes in settling females moving their settling locales, at times being compelled to utilize less suitable shorelines. Egg laying can be prematurely ended or deferred also. Recreational utilization demoralizes settling movement on shorelines that have been utilized for centuries. The presentation of recreational supplies, for example, parlor seats, umbrellas, little boats and shoreline cycles (to give some examples) can further diminish the helpfulness of a shoreline for settling and can truly harm or pulverize any current homes. Lamentably for ocean turtles, their eggs are still considered very alluring for various reasons. Case in point, turtle eggs should be better than chicken eggs for utilization in heating. 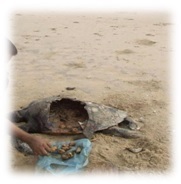 The burglary of turtle eggs keeps on being a genuine issue all over the place turtle’s home. Baby turtles find their way to the sea by the light reflected off the ocean. Artificial lighting from buildings, streetlights, and beachfront properties has a disorienting effect on little turtles. The problem of beachfront lighting is not just limited to the baby turtles. Adult turtles can mistakenly move inland after egg laying, and females tend to avoid areas where beachfront lighting is most intense. 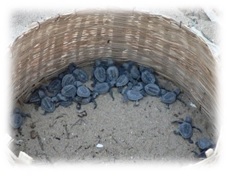 Turtles also abort nesting attempts more often in lighted areas. Artificial lighting has had profound negative effects on nesting behavior and success. Child turtles find some way or another to the ocean by the light reflected off the sea. Counterfeit lighting from structures, streetlights, and beachfront properties has a bewildering impact on little turtles. The issue of beachfront lighting is not simply constrained to the child turtles. Grown-up turtles can erroneously move inland after egg laying, and females have a tendency to evade regions where beachfront lighting is generally serious. Turtles additionally prematurely end settling endeavors all the more regularly in lighted zones. Counterfeit lighting has had significant negative consequences for settling conduct and achievement. Shoreline support is the act of adding sand onto a shoreline to reconstruct what has been lost through disintegration. Shoreline support influences turtles by immediate entombment of homes, or by aggravating settling movement amid the settling season. Substantial supplies on shorelines can pack the sand, making it unthinkable for turtles to burrow fitting homes. Case in point, noteworthy diminishments in loggerhead settling achievement have been recorded on seriously compacted fed shorelines, and most likely influences leatherbacks also. Erosion of settling shorelines brings about the loss of settling environment. Human obstruction has hurried erosion in numerous spots. Indeed endeavors to stop disintegration can have negative consequences for settling shorelines, as portrayed in Beach Armouring above. Human utilization of settling shorelines now and then prompts shoreline cleaning movement, for example, raking and the utilization of mechanical gear. Not just can existing homes be aggravated by shoreline cleaning, it can likewise bring about compacted shorelines that are troublesome or difficult to use for settling. 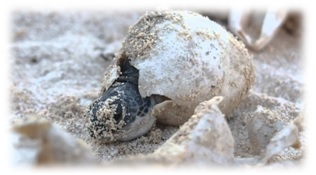 Turtle eggs are especially helpless against predators. Numerous creatures appear to be mindful of the settling cycle of marine turtles, and excitedly accumulate to violate settles once the turtles have made them. For instance, raccoons have been referred to demolish as much as 90% of all homes on a shoreline. The risk does not end when the egg is incubated. Hatchlings must escape the grasp of creatures, for example, foxes and gulls as they attempt to achieve the water, and actually when they achieves the sea, predators, for example, sharks anticipate them. Obviously, the most unsafe predator of all is Homo sapiens. Except for the leatherback, marine turtles live a large portion of their lives in genuinely shallow beachfront waters. This makes them unpleasantly powerless against the abundances and indiscretion of the human species. 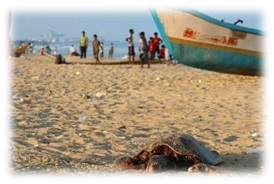 The most genuine marine environment danger to turtles is business angling. In a few parts of the world, turtles are still chased, both for nourishment and for their shells. In spots where turtle chasing is banned, the coincidental taking of turtles amid other angling operations remains a real risk. For instance, shrimp trawlers without turtle excluder gadgets trap and suffocate ocean turtles. Gill nets likewise catch turtles, and every now and again are not pulled soon enough to free the turtles before they suffocate. Despite the fact that turtles can stay submerged for long stretches, they have to relax. A caught turtle will battle, essentially decreasing its oxygen supply and shortening the time it has before it needs to achieve air. Shrimp and gill nets basically are not expelled from the water soon enough to spare most caught turtles. Human endeavors to adventure seaward oil and gas stores represent a genuine danger to marine turtles for a few reasons. Exercises connected with growing seaward oil and gas assets can crush or genuinely upset scrounging living space and settling natural surroundings. Digging not just annihilates living space, it additionally brings about the accidental harming or murdering of ocean turtles. The vicinity of seaward structures changes the qualities of settling territories in ways that could well influence settling propensities. The misuse of seaward oil and gas holds likewise prompts oil slicks and the vicinity of tar in the water. Both of these poisons have genuine impacts on marine turtles. Oil on the skin and shell of a marine turtle can influence breath and salt organ capacities, and additionally the turtle's blood science. The ingestion of tar pellets is additionally a significant concern. We people are appallingly unreliable regarding the matter of trash tossed into the sea or permitted to think that some way or another there through disregard. This has various consequences for the marine environment; however one especially abhorrent part of this issue is the ingestion of marine garbage by turtles. It is generally expected -and accessible confirmation backs this hypothesis -that hatchling turtles spend their "lost years" floating with sargassum and other ocean grasses. Shockingly, floating waste gathers in the same places as the kelp do. Youthful turtles inexorably endeavor to consume some of this material, with wrecking results. Plastic looks like sustenance nearly enough to trick even an experienced turtle. Ingested plastic is not just dangerous; it additionally hinders the stomach and keeps the turtle from getting sustenance from genuine nourishment. This can frequently prompt a waiting passing. No, obviously not. Only the most serious threats were listed out. It wouldn't hurt to review the list of threats provided here, and then ponder how many of them are the direct result of humans and their activities. We like to think of ourselves as the only intelligent species, but anyone looking over a list like this should immediately question just how smart we really are. It is not a question of compassion, a trait not all of us share. It is a question of survival, for if we callously allow ourselves to destroy other species, there is no reason why our destructive behavior will not ultimately eliminate us too.